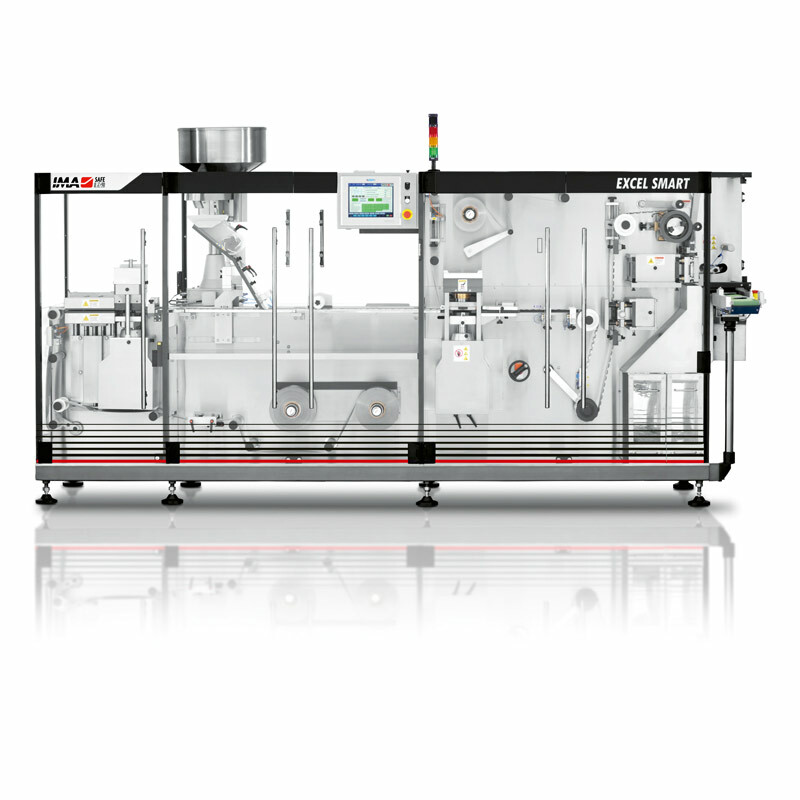 The new blister machine EXCEL SMART, produced by IMA PG, is a low-medium speed blister packaging machine with a balcony style construction. Characterized by a quick & tool-less changeover of size parts, it can pack tablets, capsules and dragees. Powered by Servo technology the EXCEL SMART is capable of handling thermoforming and aluminum packaging films. The ideal solution for that small-medium companies which need to place on the market a good product with a reasonable investment. The new EXCEL SMART has been showed at Pharmaconex, the leading Industrial Pharmaceutical event in North Africa and the Middle East.